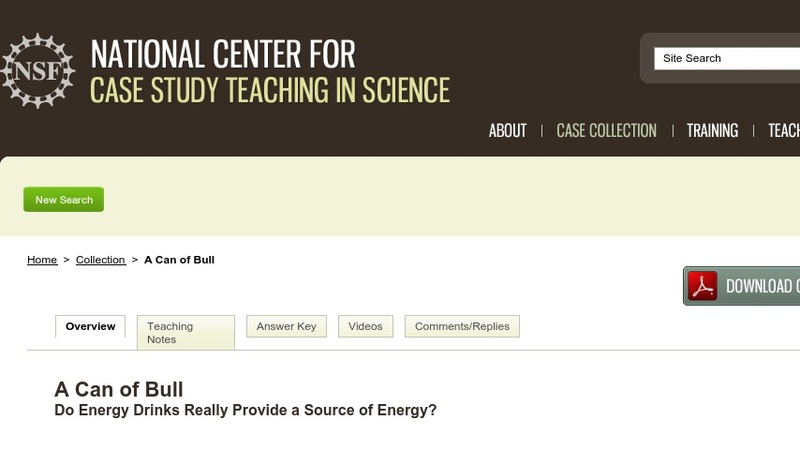 A Can of Bull Do Energy Drinks Really Provide a Source of Energy? This case study is designed to teach students at various levels about large biomolecules, nutrition, and product analysis. Students conduct a biochemical analysis of several popular energy drinks on the market, which many students purchase at fairly high prices, and determine whether these products nutritionally match their marketing claims. The case can be used as a review of basic biochemistry and nutrition for upper level students in physiology, biochemistry, or nutrition courses, or to introduce this information in introductory level courses in these disciplines.